If you are a medical practice, dental practice, naturopath, chiropractor, or allied medical company providing services such as senior care or physical therapy, you are required to secure all medical records under the Federal Health Insurance Portability and Accountability Act or HIPAA. This includes all medical records that are stored electronically as well as paper files. There are serious fines and penalties for any breach or disclosure of protected health information (PHI) levied by the Federal Government as well as State penalties regarding the release of personal information such as; names, addresses social security numbers, credit card numbers, etc. Should a data breach occur, under law, you are required to immediately investigate the extent of the data breach. That may require hiring a computer forensic specialist. You must notify in writing all parties whose information was compromised. Of course, notify Health and Human Services. With the exception of fines or penalties the cost estimate is $200 per record. In addition, there are potential legal consequences and the public relations fallout that must be dealt with promptly. Generally data stored remotely is not covered. However, depending on the contract with the cloud service company, many contracts indemnify the cloud storage provider in the event the system is compromised. This leaves the practice to deal with the repercussions. 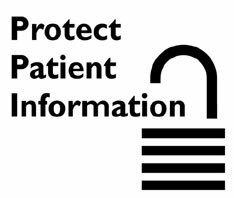 It is the responsibility of the practice to notify their patients and follow protocol regarding a data breach. This may include 12 months of credit monitoring and leave the practice vulnerable to lawsuits. Most likely it will not be adequate insurance. While there may be provisions for replacement of lost data, general liability does not include the comprehensive coverage a practice will need. A disgruntled employee damages the system. Today, cyber criminals have the ability to infect your system with a virus that prevents access to data stored on the hard drive. A message is sent to the computer requesting a payment be made within a specified time frame or the data would be irretrievable. If, in fact, this results in the system being inoperable then activity in the practice would cease until the system can be replaced or restored. The cost of insurance is reasonable considering the exposure in the event of an incident. The DePuydt Agency specializes in cyber liability insurance which may include your HIPAA liability exposure. We can examine any current policies to see what coverage is currently in place and recommend any additional insurance that may be required. Contact us with questions.